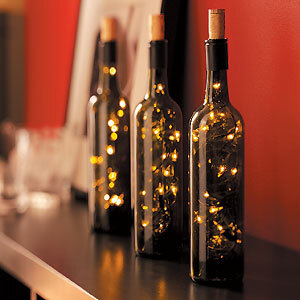 I'm loving these DIY eco-chic ideas for turning empty wine bottles into a classy centerpiece. 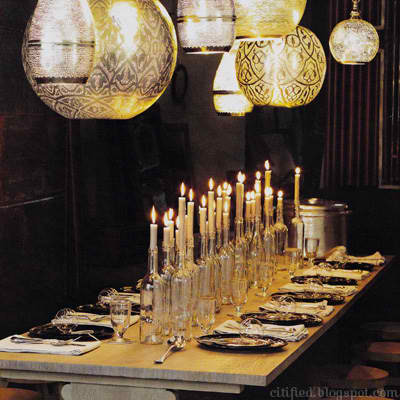 They add such a stylish flair to a table setting, and best of all they are so easy to make. Add some fresh flowers, candles, or a string of lights and you've got yourself a perfect centerpiece that your guests are sure to notice. Ooo love these! I kept a bunch of beautiful wine bottles for a while, now I am totally inspired to make some new centerpieces!